ANN ARBOR, Mich., June 26, 2018 – Medical Advantage Group’s Revenue Cycle Management Director, Candace Lewis, is presenting at the Indiana Rural Health Association Annual Conference taking place June 26 and 27, 2018 in French Lick, Indiana. Ms Lewis’ presentation provides a comprehensive review of critical aspects of revenue cycle management best practices. The Indiana Rural Health Association is a not-for-profit organization developed for the purpose of improving the health of Hoosiers living in rural areas. Member forums provide opportunities for assessing the strengths and weaknesses of the health care systems; identifying needs and problems within the rural settings; and assessing and developing leadership resources. The mission of the Indiana Rural Health Association is to enhance the health and well-being of rural populations in Indiana through leadership, education, advocacy, collaboration, and resource development. Medical Advantage Group, a wholly owned subsidiary of The Doctors Company, provides the bridge between health plans and health care providers to maximize value-based care revenue. We simplify the ability to deliver efficient, high-quality health care to improve population health outcomes through an unprecedented combination of expert quality improvement consulting, insightful data analytics, and technology. 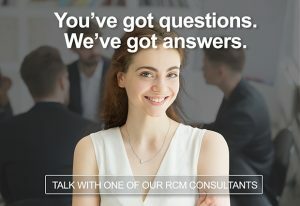 Learn about our expert services in HEDIS/Stars quality improvement, value-based care contract management, revenue cycle management, EHR optimization, and MACRA support at www.medicaladvantagegroup.com or call 800.594.6115.